Ex-Florida State cornerback P.J. 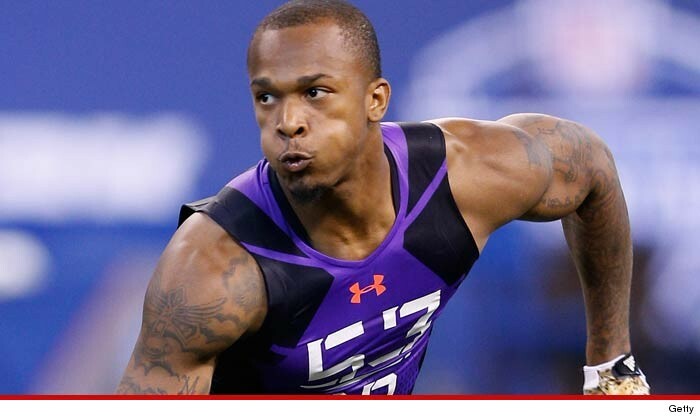 Williams -- a projected 1st round NFL Draft pick -- has plead NOT GUILTY to DUI ... though he admits he had been drinking earlier in the evening. As we previously reported, Williams --who's 21-years-old -- was arrested while leaving a McDonald's parking lot in Tallahassee early Friday morning after hanging out at a local nightclub. However, P.J. 's lawyer Jonathan Simon tells TMZ Sports the NFL prospect was the designated driver that night ... and had cut himself off HOURS before he got behind the wheel. "He did have a drink or two earlier," Simon says ... "But at 3 AM, he was taking everyone to McDonald's. It's what 21-year-olds do." Simon says Williams is adamant he was not driving drunk -- and plans to fight the case all the way to the end. We're told Williams did NOT submit to a breathalyzer or a blood test during the arrest -- and Simon believes dash cam video of the incident could actually help P.J. 's case.